* Spring Special! We have reduced the price per night on the Richmond House effective now through June 16th (excluding current bookings and Memorial Day weekend). Centrally located in the Berkshires, our home is the perfect place for you and your friends and family to relax and enjoy the pleasures of all of the Berkshires in every season. Many of our guests stay close by and enjoy a short 5 minute drive to Kripalu Center for Yoga and Health, and Tanglewood. Nearby Lenox and Stockbridge brings you to exciting shopping, excellent dining and attractions like the Norman Rockwell Museum, Berkshire Theater Festival and Berkshire Botanical Gardens. Hiking, kayaking, skiing and snowshoeing are all close by. Don’t miss Hancock Shaker Village, it’s just 10 minutes the other way! The long driveway brings you up and away from the road to a large open lawn surrounded by 8.5 acres of peaceful woods. The downstairs has an open floor-plan and is comfortable with a few people to up to 7 people. The well-equipped, open-plan kitchen has an eating area open to a cozy family room with comfy seating, flat screen TV and gas fireplace. A dining room seats 8 comfortably and opens into a large room that has been minimally furnished to provide a perfect yoga and meditation space. French doors open to another beautiful light-filled room with cathedral ceilings and a balcony that faces west towards wooded sunsets. There is plenty of room to spread out and relax. a queen master w/ensuite bath with roomy walk-in shower, one queen bedroom, one double bedroom with a four poster bed, and an optional office area with an exceptionally comfortable double futon. The patio with grill, large table and umbrella makes it easy to enjoy al fresco dining in the lush woodland setting. Flat screen TV, wifi, and hard phone line. You can be at the Berkshires’ top cultural attractions in minutes, including: Hancock Shaker Village, Tanglewood, Shakespeare & Company, the Norman Rockwell Museum and Berkshire Botanical Gardens. Shop and find unique treasures and antiques at locally owned stores in Lenox, West Stockbridge, Stockbridge, Lee, and Great Barrington. Lee Outlet mall is only moments away. Swimming is available at the town beach at Richmond Pond. Cross-country ski out the back door in the winter or take a short hike down to babbling Cone brook in the summer. Enjoy long walks, run or bike through the picturesque countryside. Bring your camera! We are committed to ensuring that you experience an amazing trip to the Berkshires. I grew up here and will always consider Richmond and the Berkshires my home. My husband and I are busy creative professionals. We enjoy coming to our house in the Berkshires to wind-down, spend time with family and friends, and enjoy the culture and the beauty of the Berkshires all year long. West Stockbridge, 10 min. drive: Depot Six (coffee, breakfast and lunch), Rouge (French Bistro), Baldwin's (hand-crafted Vanilla extract), Public Market (deli) and several shops offering the unusual! Good cellular service and good old fashioned landline. Quiet, state-of-the art Mitsubishi ductless air conditioning/heat pump system in upstairs master bedroom and downstairs den keeps entire house comfortable. Electric Heat with thermostat in each room for individual comfort if needed. Cozy family room with gas fireplace, couch and chairs. Roomy front living room sparsely furnished perfect space for yoga. Bonus room with cathedral ceilings and balcony adjoins this space. Salt, pepper, some spices, sugar, coffee filters. Our guests have commented on how well stocked our kitchen is. Convenient to kitchen, opens to living room. A lovely balcony faces west and overlooks the woods. A quiet place to read or enjoy a glass of wine. Rent some Kayaks at the Arcadian Shop. They'll direct you to some stellar kayaking just a hop, skip and a jump away! The patio is a lovely spot for alfresco dining with a table, umbrella and grill. 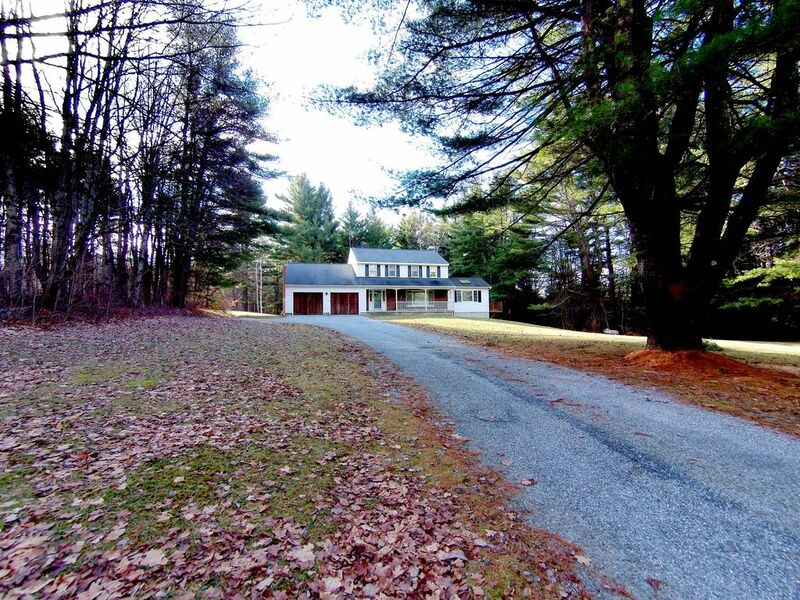 Enjoy the beauty and quiet of the private wooded setting. Central to all Berkshire Ski areas you can be at Bousquet in 10 minutes, Jiminy Peak in 30 or Butternut in 20. The Berkshire mountains frame the view of most of the nearby golf courses. Enjoy nine holes or 18, they are all just a short drive away. Visit the website of Berkshire Vacations for golf inspiration. This house is perfect for a family retreat, girls or couples get-away. Many guests choose to stay here as commuters while attending programs at Kripalu. It is cozy, yet large enough for folks to find their own private space. We loved the property, the roominess, layout, coziness of the house. The beds were super comfortable. The location was close to shops, Jiminy Peak where we went skiing and the thruway. And best of all the hosts were wonderfully hospitable and gracious! We are so glad you had a great experience. We are happy we could share our home with you and hope you can come back sometime! Lauren and her family were a joy to have as guests in our home. They took excellent care of our home and sent photos of the family enjoying the Berkshires. We look forward to having her and her family back to visit us again soon. We had a great stay at the Richmond house over a long weekend. The house was wonderful - very clean and spacious - and the large yard provided great space for our three young kids to run around. We loved the ‘away from it all’ feel but also found the location to be quite near to many Berkshire attractions. The owners were very responsive to a few questions we had during our stay. We will definitely be back! Highly recommend! The house was perfect, had everything we needed and more. Beautiful, peaceful surroundings. The owners are very accommodating and gracious. We’ll be back! My five friends and I rented this house during a weekend yoga retreat at Kripalu. The house is easy to find. It is set back off the road, so you have plenty of privacy. It was very quiet - I slept like a log! Everyone said they slept well, so I'm assuming all the beds were comfortable. There are 4 bedrooms. All the bedrooms were clean. The futon is in a bedroom - I thought it was out in the open, so that was a nice surprise. It's only a five minute drive from Kripalu. Jim and Holly are very responsive. They leave lots of information about the house and the surrounding area. They've thought of everything! I highly recommend and we plan on renting again next year! Amy, it was a pleasure to have you and your friends stay at the Richmond House. Thankyou for taking good care of our home! We are so happy you enjoyed the house and your yoga weekend at Kripalu! We look forward to your next stay! This was our second stay at Richmond House. It's a great location and the house is immaculate. Plenty of amenities as well. Under a five minute drive to Kripalu. Many of our guests stay at the Richmond House and enjoy Kripalu as commuters. Hancock Shaker Village, Tanglewood, Berkshire Botanical Gardens and the Norman Rockwell House are all a short drive from the house, with very little traffic.